-It works fine on summer trips but it’s hard to grip with cold hands or gloves. You could address the first issue by getting a hip belt holster for it, but then you’re A) buying another piece of gear, and B) adding more weight to your pack. Both of these issues could have been avoided if you thought about how the bottle would fit into your system in the first place. Now, you may find that it fits perfectly with your water purification system and it works great in cold weather, and you like the idea of having it accessible via the holster… so it may be worth it to make the extra purchase and carry the extra weight. But the point is to make that decision before you buy… at the very least it’ll save you a 2nd trip to the store. -Changing from a hooded base layer to a non-hooded version means you may have to consider getting a hat. Conversely, changing from a non-hooded base layer to a hooded version may mean you can leave your current hat behind, but it also means you’ll only have head coverage when wearing that shirt. -Changing from a heavier rain jacket (3 layer GoreTex, eVent, NeoShell, etc.) to an ultralight jacket (2-2.5 layer, lighter face fabric, etc.) may save you weight initially but you may now find that you feel a chill through the jacket in colder rain. Now you need to add weight back with an extra layer under the jacket, like a microfleece. On the other hand, you may want to go the latter route initially in order to have a more diverse system (2 components that can be used for separate things as well as together), and it may end up being cheaper than buying the more fully-featured rain jacket. -Is your focus to hike fast/long (or faster/longer than you have in the past) or to simply do a few miles per day and camp? More time in camp means more time spent idle, which could have an impact on how warm your clothing system needs to be. 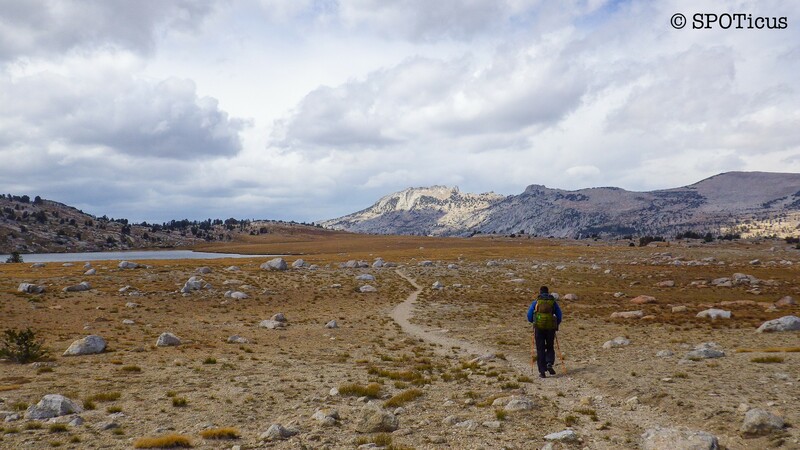 Hiking faster/longer may motivate you to carry a lighter pack but you’ll likely need to scale down the comfort level to do this (note: this doesn’t mean “be uncomfortable”). -Are you going somewhere that has completely different environmental conditions than you typically encounter? If so, think about how these new conditions might affect you and whether you can address them with your existing gear, albeit with different combinations of that gear. Others have said that people tend to pack their fears, meaning that people carry a lot of things “just in case”. This often translates to carrying a bunch of stuff that you never use. I would argue that this tends to happen early on, but I would also make the distinction that it morphs into packing habits, not fears, because people end up carrying things “just because they always have”. Everybody packs something “just in case” at some point. The trick is to go back and evaluate whether or not it was necessary. This may seem obvious, but I hear about people all the time who buy something because they think they need it, then try to use it for conditions outside of what it was designed for… and they end up thinking it’s an inferior product. Just today I heard a guy telling someone that he had a $300+ North Face jacket and a $100 Under Armour jacket, and that the North Face jacket was crap because it wasn’t keeping him warm in freezing temps while the $100 jacket was. I may be assuming too much, but I think there’s a good chance that the former jacket was probably more of an uninsulated shell while the latter has some form of insulation. Even if that isn’t true in this particular case, it’s one I’ve seen before. People think shells are fancy because they look cool and they’re expensive, but are disappointed when it doesn’t do anything to keep them warm over a T-shirt. On the other hand, don’t get locked into the idea that you have to buy something that’s marketed specifically for one activity (i.e. backpacking). There are other niches like biking, climbing, etc. that have their own types of gear that could potentially fit into your system better than the backpacking options. This is why it’s important to think about what your needs are and translate them into a specific list of features, then see what you can find that best covers all the things you want. Sometimes the best option is generic (i.e. not marketed to a specific activity). Typically gear is less expensive when it’s not as specialized. Think about the ramifications of how you organize your pack and clothing under different weather conditions. People tend to leave lots of things accessible on the outside of their pack when they first pack it, with fair weather in mind. Then it starts raining on the trail and not only is their rain gear buried, but they have lots of things that need to be repacked so they don’t get wet. Try to leave space in your external storage pockets for items that you find yourself rotating once you’re on the trail rather than allocating all of your external storage to things that you think will need to be accessible. Not only does this often change from what people initially think they’ll need, but it can even change on a daily basis while you’re on the trail. Also consider how you’re going to keep things dry in those external pockets (the answer is not a pack cover… more on that later). One last thing I’d like to address is that the endgame for this exercise will likely be different for casual hikers vs. avid backpackers. I mentioned before that people tend to carry their habits, meaning they don’t often go back and reevaluate what they carried after each trip. I think with some forethought and careful shopping, casual hikers can develop a fairly static system that they don’t have to continually evaluate. If you find yourself sticking to the same general region and duration for trips (i.e. 2-5 days in the Mid-Atlantic, Pacific Northwest, High Sierras, etc.) then you can probably develop a system that works without having to change it very much. Avid backpackers are people who I would consider to be always looking for new places to go and new trips that challenge what they’ve done in the past. Typically this means having a system that’s constantly rotating and evolving, which can be a great exercise in critical thinking but it can also lead to needlessly purchasing the next best thing and spending hundreds of dollars to save fractions of an ounce (see some of the points I made in my last post). In my mind, developing a system of gear should help you save money, not help you spend it.